SAW029874 SCOTLAND (1950). 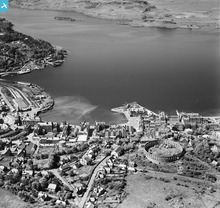 Oban, general view, showing McCaig's Tower and Oban Bay. An oblique aerial photograph taken facing west. 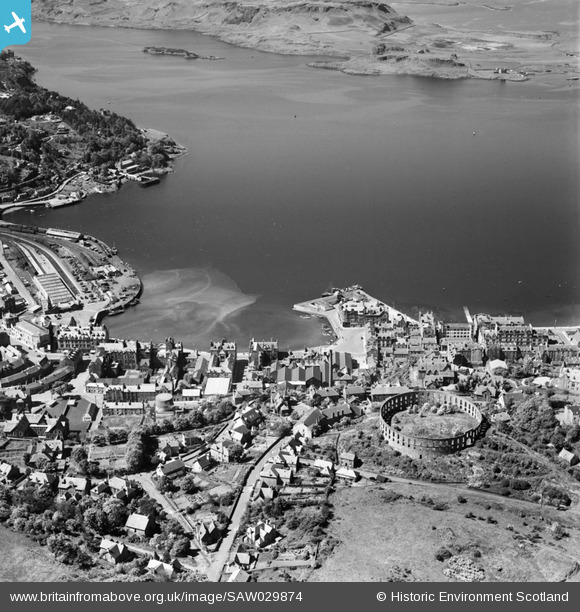 Title [SAW029874] Oban, general view, showing McCaig's Tower and Oban Bay. An oblique aerial photograph taken facing west. Old railway terminus building - now sadly gone but the railway is still there.